Joggernauts Wins Guest's Top Pick at The MIX! It's October all ready?! Time files when your making games. 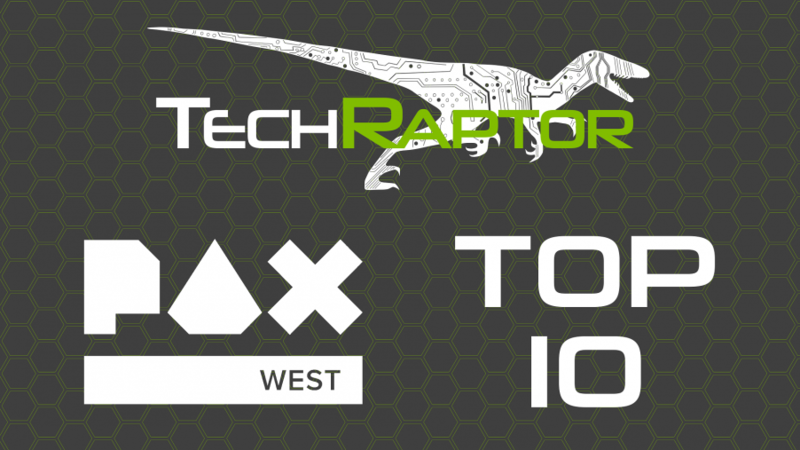 I'm given the deets on an interview with Gaming of the Noob, Joggernauts making TechRaptor's 'Top 10 of PAX West' list, and... oh... 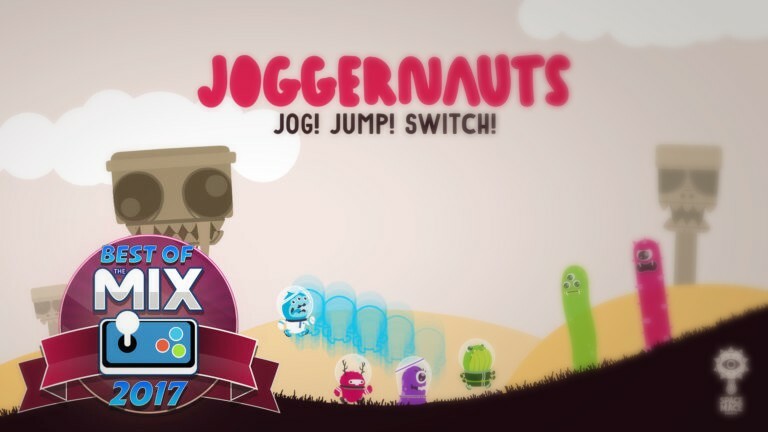 I dunno... Joggernauts winning the freakin' Guest Choice award at The MIX during PAX week! Yeah... I know. Awesome, right?! If you didn't know already, Space Mace flew out to Seattle last month to sport Joggernauts at The MIX during PAX week. Seriously, it was so much fun. I never get tired of hearing strangers yell, "SWITCH@!#$%", at each other. 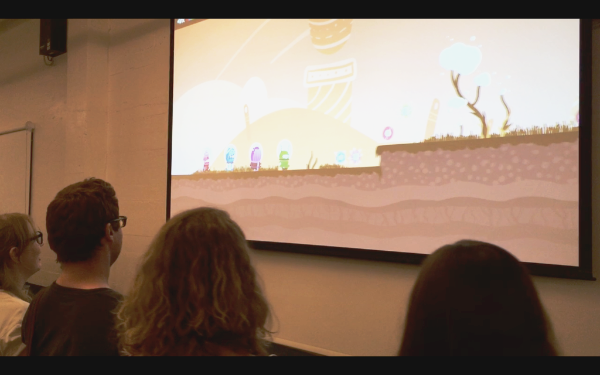 The best moment was a group of friends playing Joggernauts on a huge projector screen the event planners setup. Soon there was an entire crowd cheering the team on! Although... that didn't help their performance much. All that commotion payed off! Joggernauts won the Top Guest Pick award by the end of the event! Thank you to everyone who voted and played that night. It means so much to me and the rest of the team. 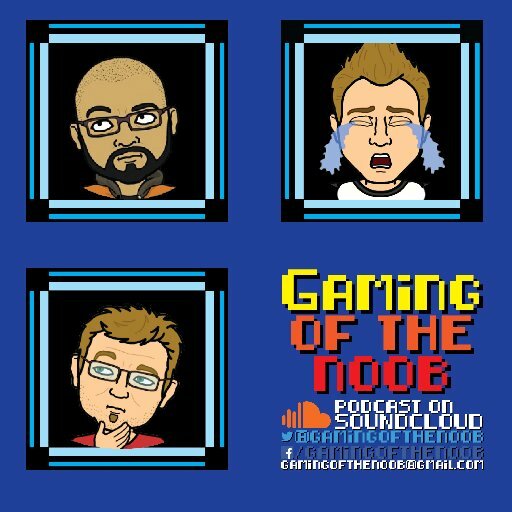 Zach and I had a fantastic interview with Jake from, Gaming of the Noob, a video game enthusiast podcast that focuses on the art, development, sound, visuals, promotion, mechanics, and indie game culture from the perspective of some major noobs. OMG, look at those waterfalls! 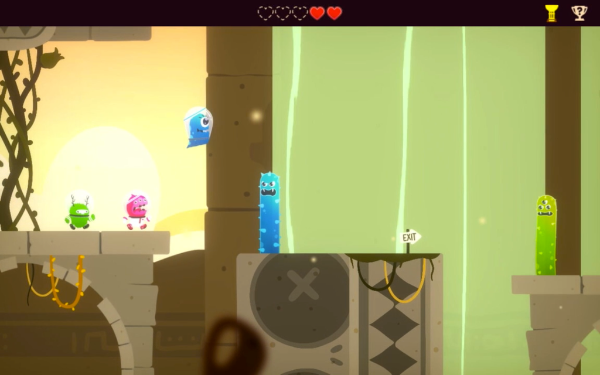 That's right, the team is adding new things to Joggernauts constantly. 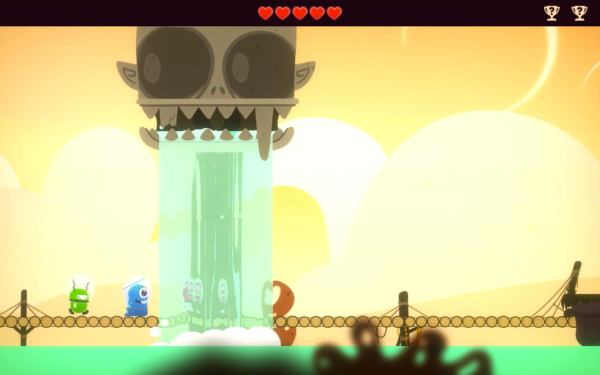 Our most recent build (not available for private beta holders yet, sorry...) features beautiful waterfalls, goofy alien foliage, and derpy temple heads falling into water for you to jog over. Stay tune for more visual, sound, and mechanic updates. 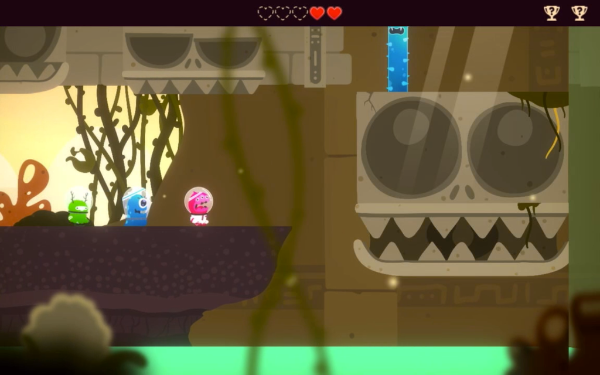 We're excited to show you more!